Mike Slomba the studio engineer has many years of experience in studio recording and or mixing. Graduated from Glendale Community College in AZ Class of 2017 for Audio Production Technologies. Took many classes such as Music Business, DAW, Studio Recording, LIVE Sound, DJ Performance, etc. 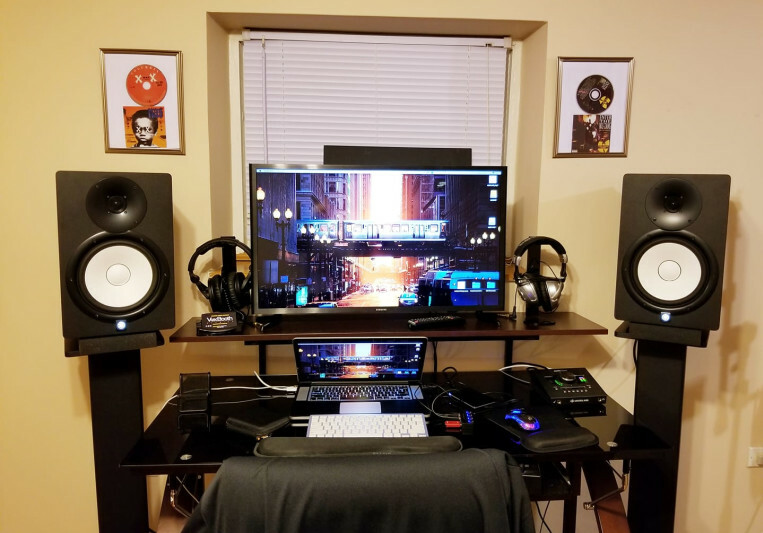 Gear: Yamaha HS8 Monitors, UAD MKII Interface, AKG C214 Condensor Microphone, DAW Logic Pro X. A: Freelancer as a Technician throughout Chicago. Mixing LIVE bands or setting up gear for events. A: Analog will always have the 'Sound' of a great record, and Digital has its own sound. It will be mostly a preference thing, their are pros and cons to both. A: Deliver the best sound they wanna hear, and do my best to get to that. A: Freedom of time, and doing what I like to do and also getting paid to do it. 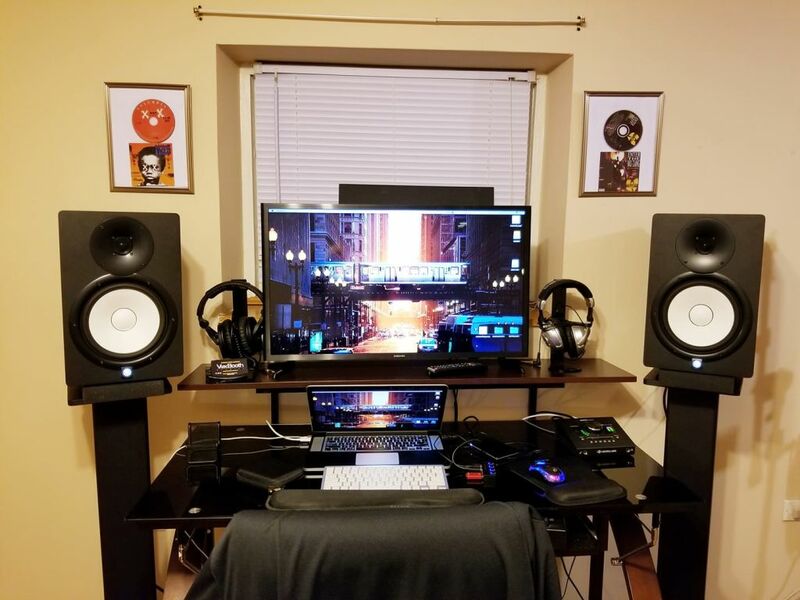 A: Home studios are not professional and cannot get anything to sound great. I disagree it depends who you are and what kind of artist you are working with. In today's recording and what is offered to you, Pro Tools is today's industry standard, you do not need a fancy console anymore. A: Please be specific and what you like be to do for you and your project. I like having a list of tasks so I can get everything done at once, do not like sending files back and forth. Because all that does is waste my time and yours. A: Please be patient, and respect what the engineer is wanting to do for you. A: Graduated in 2017 for Audio Production Technologies, been freelancing in Chicago for almost a year now. Still have much to learn, but knowing I am on the right path. A: Clean mixes nothing too crazy, I try to visualize what I think the artist will like to hear. A: Take your time, and always reference your mix before mastering. A: Blood, Sweat & Tears. A: File management and organization, than getting down to actually being creative and working on my current project. A: Everything is on a 2 tier glass studio desk that I had picked out, looks great. On the 1st tier of the main desk you have my MacBook Pro connected via HDMI to Samsung TV that I use as my screen monitor. On the side of my laptop I various usb ports connecting to my UAD MKII Audio Interface & External Hard drive. On the left & right side of my TV screen I was 2 identical Yamaha HS8 Powered Monitors that I use for mixing & mastering. What I connect to the pre-amp of my UAD Interface is a AKG C213 Condenser Microphone. A: Most common is studio recording, mixing & mastering. Turn-around time for songs is usually a day or two. A little more time if client has an album.